On the morning of January 25, 2019, as planned, CTC1-WHP exploiting rig in Sturgeon (Ca Tam) Field, Lot 09/3-12 gave First Oil, with an initial production of 1,630 tons/day. This is a project invested by a consortium of Vietsovpetro, PetroVietnam Exploration and Production Corporation (PVEP) and Bitexco Group. 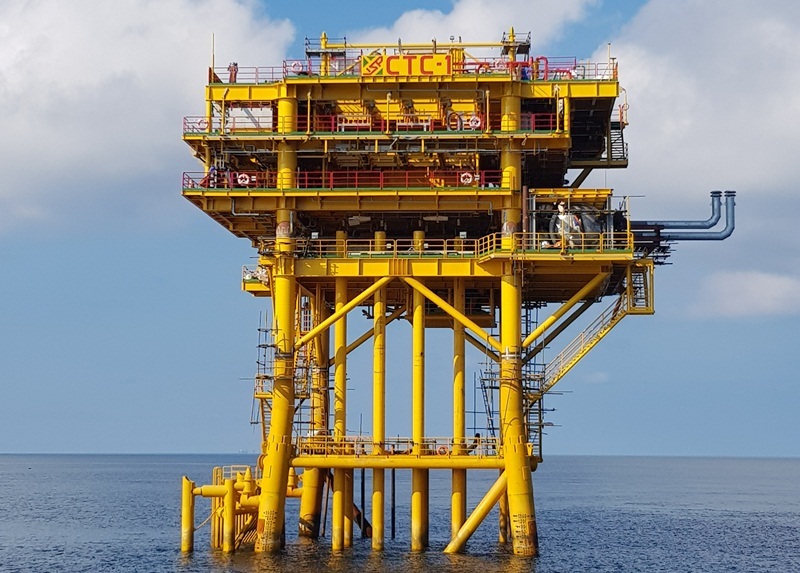 The CTC1-WHP exploiting rig that has been started for manufacturing since March of 2018, is a the most important item in the Sturgeon field (under Lot 09/3-12) development project. The rig was designed by the Institute for scientific research and design under Vietsovpetro, certified by Vietnam Register and Lloyd's Register, executed and installed by the enterprise for surveying, constructing and repairing oil exploitation projects under Vietsovpetro, and LILAMA 18, ALPHA ECC and PVC-MS contractors. The Lot 09-3/12 is managed by Vietsovpetro in accordance with Petroleum Product Sharing Contract signed at September 12, 1012 between PVN and the consortium of Vietsovpetro (55%), PVEP (30%) and Bitexco (15%) with a total area of 6,000 km2, sea depths of from 15 to 60m under Cuu Long basin, located in 160km from Vung Tau City to the Southeast, very closely (about 15-20 km) to the Dragon (Rong), White Bear (Gau Trang) and White Tiger (Bach Ho) oil fields which Vietsovpetro is exploiting. According to the calculation, the exploitation of the Sturgeon field has an economic efficiency up to the end of 2032 with a significant interest for Vietsovpetro, PVEP and BITEXCO and a considerable state budget contribution. To put CTC1-WHP into operation in time is a significant determination of Vietsovpetro, PVEP and Bitexico in current uncomfortable conditions, especially in difficulties of financial mechanism. This is also the basis for Vietsovpetro to maintain stable exploiting output in 2019 and continue to promote oil and gas exploration activities to new lots in the following years.